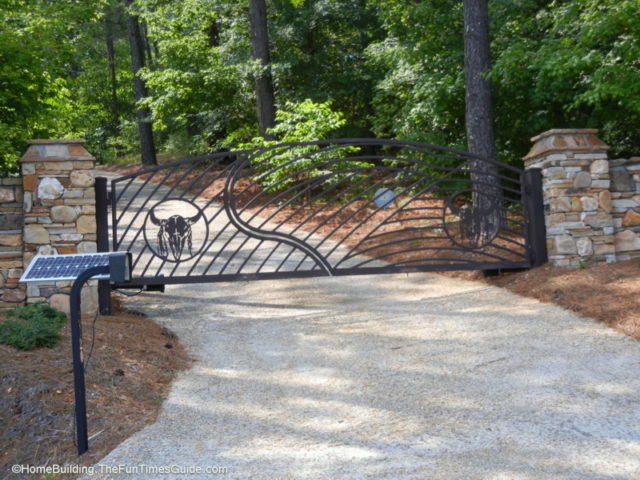 A custom driveway gate with special meaning to a homeowner is also “soul food”. 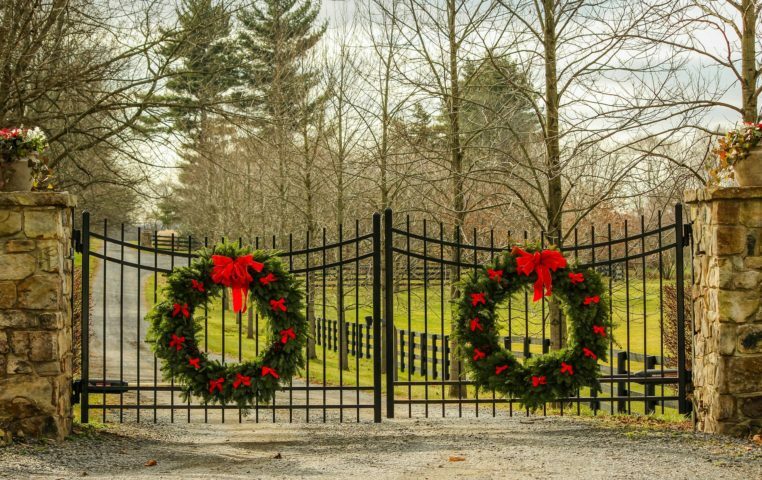 Not only do driveway gates look great, but they also keep solicitors away from your doorstep — among other things. 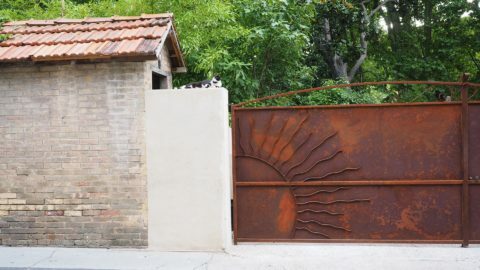 Following are some important things to know before you buy an entry gate for your driveway, plus some tips for tackling the driveway gate installation yourself! The type of entry gate you choose — sliding vs. swinging — will ultimately depend on how level your site is surrounding the gate area. Next, you need to decide if you want an automatic vs. manual entry gate. Of course, a manual gate will be more affordable. An automatic driveway gate provides a number of added security benefits. Just the same, the additional tech built into automatic driveway gates means there will be more that could go wrong over time — thus, higher repair bills down the road. If you choose an automatic entry gate, you’ll also need to determine whether you prefer a keypad entry, card-based entry, or some other type of driveway gate control system. Wrought iron makes a particularly good choice of material for automatic driveway gates — due to its anti-corrosive properties. 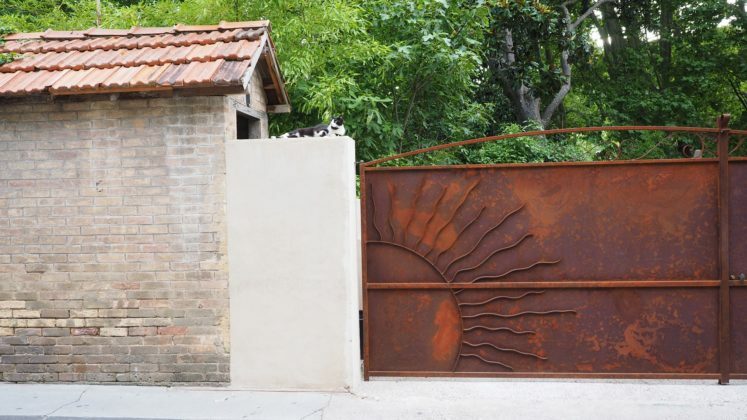 Here are some helpful tips before you install wrought iron driveway gates. Wood gates may also be worth considering — due to the lower cost. However, if you decide on a wood gate, just realize that it will require more maintenance than a metal gate. Here are some things you should know before installing a wooden driveway gate. Driveway gate openers and the gates themselves are, obviously, exposed to the elements year-round. Therefore, they require some regular maintenance in order to keep them working efficiently. The hinges on the gates need to be greased regularly. The chain drive on a sliding gate needs to be greased as well. You’ll want to deter pests from nesting in and around the gate opener. The tubes of your gate opener needs to be cleaned and lubricated frequently. Most homeowners will leave the details of installing a drivedway gate to the professionals. Be sure to leave plenty of room for a car (or two) to sit in the driveway in front of the gate prior to it opening. If you decide on a swing gate, it’s best to install it to swing away from incoming traffic. If you have a sloped driveway, then a gate that has 2 doors working in unison (bi-parting) is best. If you have any type of fence or masonry structure leading to the point where the gate will be, install the gate posts just behind — or directly adjacent to — the pillars. Most automatic driveway gates come in 12′, 14′, 16′ and 18′ spans — so plan ahead when building the fence leading to the gate entrance. When measuring, leave plenty of room for emergency vehicles and large delivery trucks to gain access to your home. The last thing you want is a UPS truck taking out your gate post when it pulls into your driveway! Choose a reliable brand for the entry gate kit you choose. It’s better to overbuild, in this case, for a reliable system. Most of the time, you’ll get the whole kit and kaboodle from the same supplier. In the off chance that you’ll buy your entry gate components separately, you need to know how to find and buy a gate opener. The electric gate motor is a key ingredient in an automatic gate opener. Still thinking of building a driveway gate yourself? It usually helps when you “see” something in action, rather than just read it. The above tips will get you started. Once you begin to research the products and installation companies available to you in your area, many more questions will come up that you may not have thought of earlier. There are many companies that will make a custom driveway gate for you. Get at least 3 quotes before deciding on the best entry gate for your driveway. If it were up to me, the cost of a driveway gate would definitely not be my primary consideration when deciding on a custom entry gate for my residence. Here’s for information about the cost to install driveway gates. Instead, art and design factors should be your primary consideration when choosing automatic driveway gates. Having the gate manufactured in a timely manner is another key factor in the decision-making process. The bottom line: Have fun with it, and give it a lot of thought before deciding on your driveway gate design!